You are here: Home / Article Knowledgebase / Can I wear Blue Sapphire in the Ring Finger? Can I wear Blue Sapphire in the Ring Finger? Recently the Gemstoneuniverse team received an e mail that stated, “Hi I am undergoing a very bad Mars Dasha. Everything has gone bad since the dasha started. I am facing health problems, divorce and having problems in my job. I recently consulted an expert Astrologer who diagnosed that I am having these problems because of Mars graha. He had advised me to wear a 5.25 ratti Blue Sapphire in the ring finger to control Mars and every Tuesday offer Boondi Laddu ( A type of Indian Sweetmeat) to Hanuman Ji. Since Blue Sapphire is a very strong gemstone I just wanted to be double sure in wearing in ring finger and hence seeking your expert advice. My birth date( Birth data and Name withheld for Privacy). Every Month we receive some e mails on the similar lines has stated above. Moving on there are several things that are plainly wrong here. First and foremost if the Astrologer was an expert as this gentleman has stated in this e mail he would have never recommended a Gemstone in Ratti. The ratti is an obscure and outdated measure of weight that has no mention in any standardized sacred text. 1) Pacify Mars by donation, mantra chanting, donation, Yagya etc. 2) Fortify the ascendant lord in your chart. 1) Venus was well posited and is a Yoga Karaka in the chart. 2) If you were undergoing the period of Sun in your chart. Yes, Saturn and Mars are enemies but wearing a Blue Sapphire in the ring finger in plainly incorrect as per astrology. You must understand that Gemstones work by influencing the impact of light and color on our body and directly influence our body’s biorhythms. There is no astrological rule that allows you to wear the Blue Sapphire in the ring finger and if you were to do that the first thing that would happen is that you will get physically sick or have some disease or malady because your biorhythm will get affected adversely. 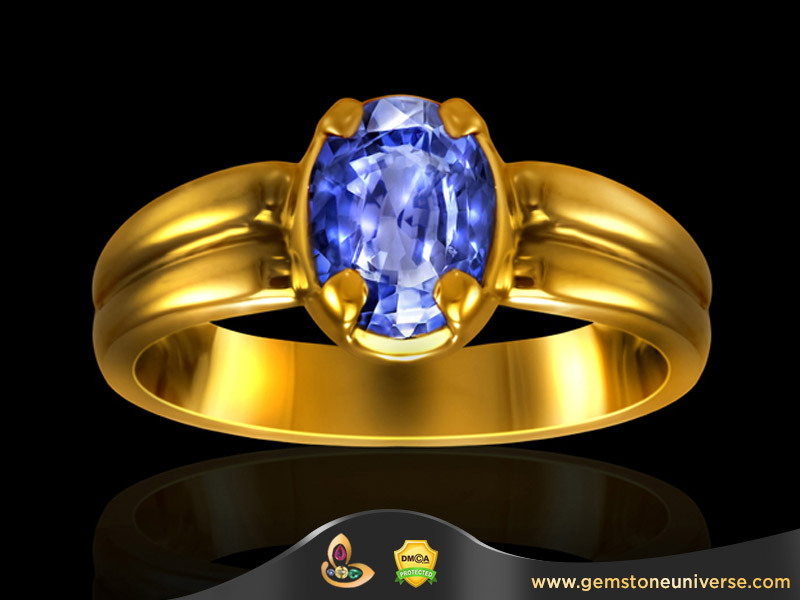 The astrological chart needs to be analysed in detail and if a Blue Sapphire is recommended than it would be worn only in the middle finger of either hand. 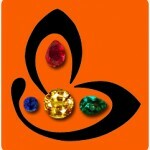 You can read more about the principle of cutting fire by fire in the Vedic Gem Recommendation report. What happens to people who may buy Blue Sapphire as a Jewellery piece and wear it in the ring finger? Most of the stones used in fashion/ cosmetic jewellery are just stones. They are not Gemstones let alone Jyotish Gemstones and are powerless to have any kind of an impact at all and they can be worn as an one off thing. Secondly most of the Gemstones used in the Jewellery are covered from the back with the pavilion of the Gemstone not touching the skin. In such a case there is no astrological impact. If you are wearing a high Quality Gemstone that qualifies to be a true Jyotish Gemstone it is worthwhile to double check with an expert Astro Gemologist as to which finger would be best suited to do such a thing. Above: A fine customized Blue Sapphire ring with a unheated Ceylon Blue Sapphire of 2.47 carats set in Sterling silver 925. Consecrated and energized to deliver the best results. Proudly Made in India with International Quality Standards. We are glad to announce that most of the recent updates including the blogs are now on the Gemstoneuniverse websites in the current updates section. We wish to inform you that daily updates shall now happen on the current updates section rather than on the Blog. Please click here to access current updates.